An entryway that is big enough to be treated like a separate room offers the homeowner many ways to be creative, especially with their mirrors. Mirrors can be grouped with on the wall with works of art and be framed like a work of art itself. Frames are traditionally made of fruitwoods and hardwoods but can also be made of metal, plastic, glass and other materials, and some can be bought with matching wall sconces. 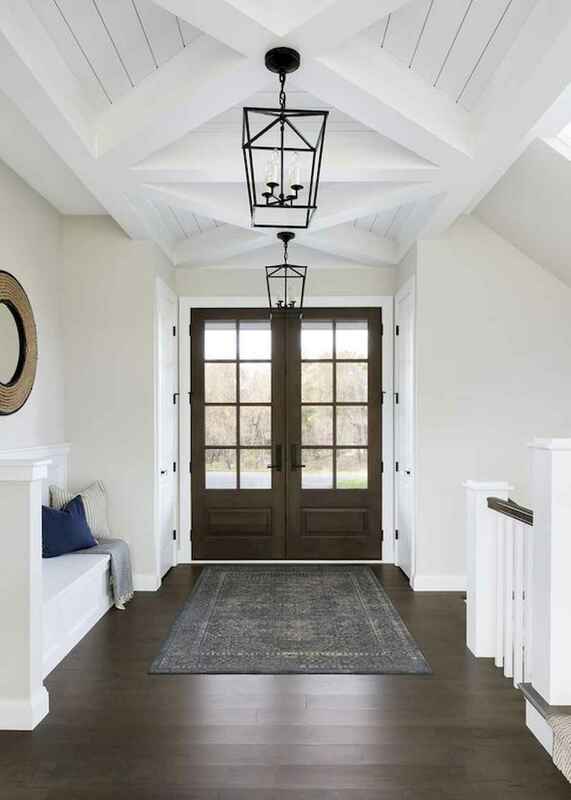 Frames can be chosen or painted to match or complement the color scheme of the entry hall, and mirrors can be the same style as the furniture around them. For example, a Louis XV side chair can be matched with a console and mirror in the same style. On the other hand, styles can contrast with each other such as a girandole mirror paired with a mid century modern cabinet. Here are some entryway mirror ideas.